If you are a pre-med student you should consider volunteering at one of these local facilities in order to get experience in the healthcare system. You can simply volunteer at them or apply for college credit as an internship (BIO498); one credit is awarded for every 3 hours/week of service for the semester (15 weeks). These are a great opportunities to get patient exposure while studying for your degree. They are also important opportunities to meet healthcare professionals and earn their letters of recommendation for apply to postgraduate schools. To get college credit you will need to submit a “Learning Contract and Internship Proposal” form, which is available in Dr. Slish’s office. This form requires signatures from the, faculty sponsor, the volunteer coordinator at the site, and the Biology Dept. chairperson and is then dropped off at the office of the Dean of Arts and Sciences (in Ward Hall). Internship credit is awarded based on the amount of time spent in the hospital per week; three hours in service per week for 15 weeks is worth one. This is a total of 45 hours per credit per semester. You can take a maximum of 2 credits per semester and a total of 3 credits while here at Plattsburgh. You can do the internship at an accelerated pace during the winter or summer breaks, as long as 45 hours are completed for each credit. You will be awarded a pass/fail grade for this internship based on your attendance and performance at the hospital (as reported by the staff on duty), a journal that you will keep during the semester, and final report (1–3 pages) that you will write. The paper is due on the Wednesday of the last week of classes. To sign up, please go to the office of Dr. Slish, 325 Hudson Hall. The University of Vermont Champlain Valley Physician’s Hospital is a 300 bed inpatient facility and a 54 bed skilled nursing facility located on Beekman Street, one block from Hawkins Hall. They accept volunteers to work in all areas; in the past we have had students in emergency, post-operative, skilled nursing, OG/GYN, and several other areas. Before registering at SUNY Plattsburgh for this internship you need to contact the CVPH volunteer coordinator at 518-562-7595. You will have an interview with the volunteer coordinator to determine which service is best for you and to schedule an orientation class. This internship requires you to have taken the UVM-CVPH orientation before starting and this should be done before the semester that you want to do the internship. Meadowbrook Healthcare is a 200 bed skilled nursing and rehab facility on Prospect Avenue, one block from UVM-CVPH. You can volunteer for either the skilled nursing (i.e. long-term care) or rehabilitation part of the facility. The rehab facility is especially good experience for students wishing to apply to physical or occupational therapy programs after graduation. The skilled nursing facility is long-term eldercare. The Samuel F. Vilas Home is an adult long-term residential facility located on Beekman Street, one block from Hawkins Hall. It has 75 senior residents who are in active and in good health. Some of the activities you may be asked to help with are yoga & chair aerobics, strength training, arts & crafts, watercolor painting, pet therapy, social hours, birthday parties, local musicians performances, mall walks, and shopping and luncheons. Eye Care for the Adirondacks is a full service eye care facility, providing everything from eye exams and eye glasses fitting to eye surgery for glaucoma, retinal problems, and cataracts. 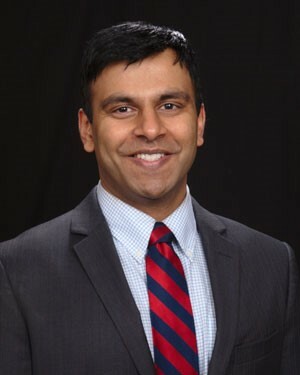 Dr. Roy Arogyasami is a retinal surgeon who has agreed to allow students to join him in initial consultations with patients and observe his surgeries. This is an excellent opportunity so many students have been interested in it. In order to do this internship you need to register with Dr. Slish to get into the queue; it may take 2–3 semesters to come to the top of the list so, if you are interested, sign up early.